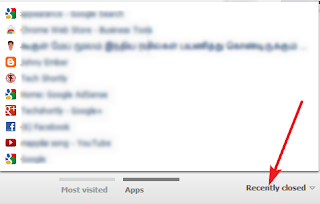 Google Chrome is the World's #1 browser it has plenty of useful features. No one can use all this features because some features are hidden in Google Chrome. Here below i listed 10 useful hidden features. While reading online have you doubt on a word (or) you want to know more about that word for just highlight that word drag it to your tabstrip to right or left. A new tab will open with search result of highlighted text. 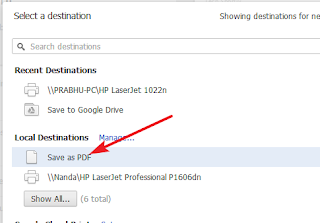 Using Google Chrome you can save webpages as PDF without going any third party site. Just open a webpage that save to PDF then click CTRL + P keys on your keyboard. 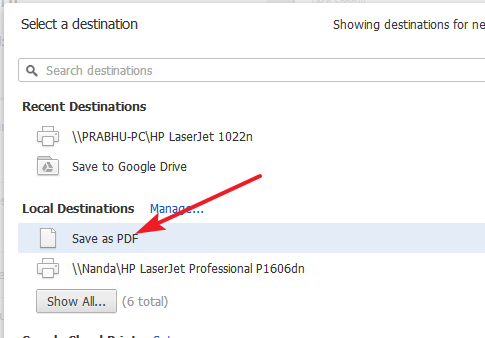 Printer dialogue box will open then change your destination as Save as PDF, finally click Save button to save your PDF file. Using Google Chrome you can see recent closed tabs without open your browser history page. Just open a new tab then click Recently Closed Tabs options available in below. 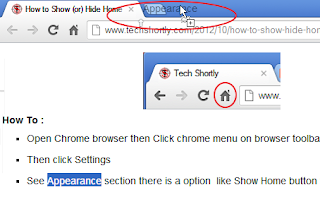 Using Google Chrome browser you can hide (or) show a bookmarks bar by simply press Shift+Ctrl+B keys on your Windows, Cmd+Shift+B in Mac. Need more space to browse you can go to full screen mode by pressing F11 on Windows & Linux, Cmd+Shift+F on Mac. While browsing you maybe opened many tabs on your browser window. 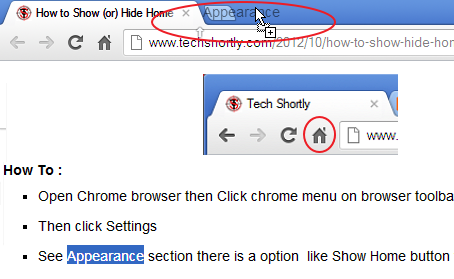 In Google Chrome you can open any specified tabs using shortcut key. For example you opened 4 tabs on you browser window ,then you want to open third opened tab just press key Ctrl + 3 on your keyboard it opens your #3 tab. While searching anything on search engine you maybe opened important search results in many tabs. You want to book mark all the tabs but if you bookmark one by one it takes more. For that there is a option on Google Chrome you can bookmark all opened tabs on your browser at once by pressing Ctrl+Shift+D keys on your keyboard. In Google Chrome if you want to know the original size of image that is available in webpage just drag that image to your tabstrip to right or left. A new tab will open with original image size.